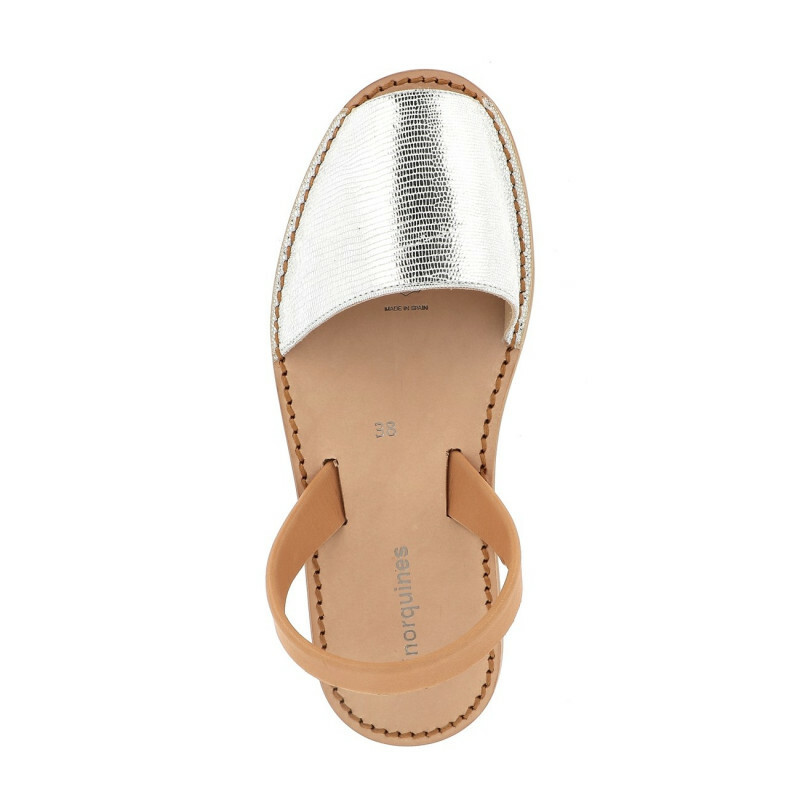 Sandals in a shiny white leather, naturel color heel strap. The model Neo of the famous minorquines revisited with a linen sewing, a finer cut on the front of the foot and a leather and rubber sole natural color. The position of the heel strap always makes sure the foot is held in place. You should choose the usual size. 1 - Place a sheet of A4 paper on the floor with the edge against a wall. 2 - You or your child should stand on this sheet of paper in your bare feet, with your heels against the wall. 3 - Make sure that your heels are in contact with the wall and that your feet are flat on the floor. 4 - Draw a line on the sheet at the end of your toes. 5 - Measure the distance between the edge of the sheet and the line you have just drawn (in centimetres). 6 - Enter this measurement into the box below and click on the calculator to work out your size!